Kraft Auction Service has years of experience selling commercial, residential, and farm properties. 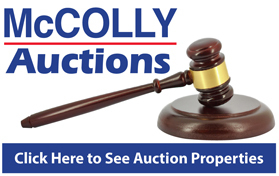 We have partnered with McColly Real Estate to offer sellers and buyers a full suite of services. A Real Estate auction is a great way for buyer and sellers to achieve a price that is indicative of the true market value of a property. 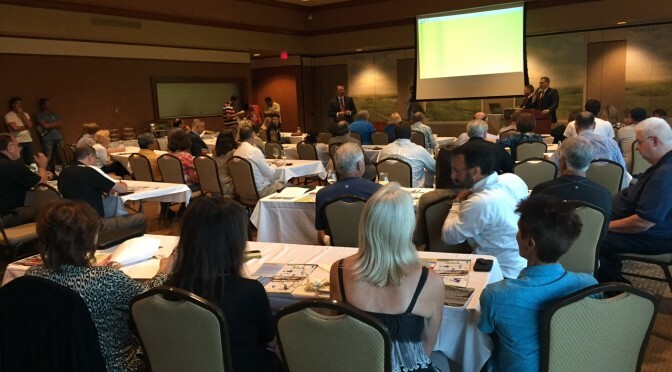 Generally properties at auction sell for 80 to 120 percent of what similar properties have sold for through a traditional listing with a realtor. After a property is sold, the closing process is very similar to a traditional real estate sale. A broker working for Kraft Auction Service handles the contracts and closing. A key difference between auctions and traditional real estate sales is that properties sold at auction are sold “as is, where as”. This means there is no warranty and no inspection on the property; however, bidders are free to set up an appointment to inspect the property prior to the sale and do their own due diligence. Though we do disclose any issues of which we have knowledge, the seller does not need to correct these issues to close on property. At Kraft Auction Services, real estate sales almost always occur on-site and may be sold one of three ways: absolute, seller’s confirmation and published minimum bid. An absolute or no-reserve auction means the property will sell regardless of price. Often sellers find the prospect of this type of sale daunting, but absolute auctions generally attract the most buyers. Also, in this type of auction, both the buyer and the seller can be sure the sale price is the true market value of the property. At a seller’s confirmation auction, the seller has a right to confirm or deny the highest price reached through competitive bidding at the auction. We allow sellers 72 hours to decide, which means the highest bid remains valid for that time period. If a seller immediately confirms the bid, the auctioneer will make an announcement to the bidders and ask one last time for bids. At that time the bidders can increase their bid, but if no change occurs the home is sold! If a seller decides to use a published minimum bid, they decide on the lowest price they would be willing to take for the property. This information is announced in the listing and marketing prior to the auction. If the published minimum bid is reasonable and in line with true market value, it can encourage more bidders to come the auction because they are certain the home will sell for that price.